In his Physica, Aristotle wrote in 350 B.C. that “When the objects of an inquiry, in any department, have principles, conditions, or elements, it is through acquaintance with these that knowledge, that is to say scientific knowledge, is attained.” The search for the Aristotle’s “first principles,” the simplest and most basic elements of a matter under investigation, has been the subsequent hallmark of all academic and practical scientific inquiry in the West ever since. Indeed, Aristotle’s Physica, more than any other work, is the predicate basis of Western medical training. In fact, the Physica provides the underling foundation for the art and the practice of healing disease and likewise the entire modern practice and profession of medicine. Aristotle was an exacting and demanding teacher. His thought processes were at times uncompromising and unbending. When one first thinks of Aristotelian thought and logic today, one invariably thinks of rigid orthodoxy. There are those who suggest that this sort of rigid devotion to the search for truth through scientific analysis is the best basis for the study and practice of the medical arts. On some level, perhaps this is so. But if it is so, how did a man such as Aristotle write also the Metaphysica? Likewise written about 350 B.C., The Metaphysica can be viewed, on first blush, as a refutation of many of the principles of the Physica. What is a branch of inquiry that, since it was first written, many scientists simply did not know what to make of, was at its creation simply a philosophical treatise presented to Aristotle’s editor and logged into that editor’s notes as merely “that which came to me after the Physica.” Yet, metaphysics is so much more than another work by the master landing on his editor’s desk. In the Metaphysica, Aristotle writes “All men by nature desire to know.” This would seem apparent enough, but it certainly suggests that man is a seeker, not merely a learner. By this we mean that, while there is a body of knowledge, say in the medical arts, man continues to seek more knowledge and ultimately, that seeking leads to truth. It is absolutely truth that Aristotle sought and that the medical sciences are admonished to seek in the Physica. The primary lesson of the Metaphysica is that knowledge is evolutionary and continual. 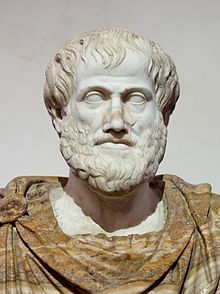 Aristotle was to some degree an absolutist in his thinking, but he was not so conceited as to think that knowledge does not progress and evolve. This brings us to our modern dilemma in the sciences generally and in the medical arts in particular. In cancer treatment most particularly, we must be mindful that both the Physica and the Metaphysica ought appropriately guide the medical arts. While the rules of sound scientific inquiry evident in the Physica are necessary and to a degree absolute, there is a most necessary need for the approach taken in the Metaphysica. That approach suggests that man is far more than simply a sum of his physical properties. He is also a mind, a spirit and a soul. Curiously from our standpoint, no serious doctor would argue this point. It is a sine qua non of the medical art. When it comes to day in and day out practice, many doctors seem to forget the mind, spirit and soul in pursuit of curing that symptom which is manifest to them upon examination of the patient. This is perhaps understandable, doctors are busy, they are under intense pressure and so forth. Yet, to ignore the other elements is to ignore many of Aristotle’s first principles. To do so limits medical exploration to such a degree that progress and evolution in the scientific search for truth is lost in the hub-bub of daily practice. This is a shame and it is dangerous as well.